Don't miss the latest happenings out of Courmayeur, including new lifts, terrain expansions, weather, photo galleries, infographics and current events skiers and mountain travelers should know about. Stay up-to-date on Courmayeur news and events by clicking on articles from the list below or page through to see coverage from the entire ski season. Watch highlights from the FWT 2012 so far in Revelstoke, Chamonix and Courmayeur. Aosta Valley resorts are offering discounted accommodation after Easter, with lift passes or spa treatments included in the package price. 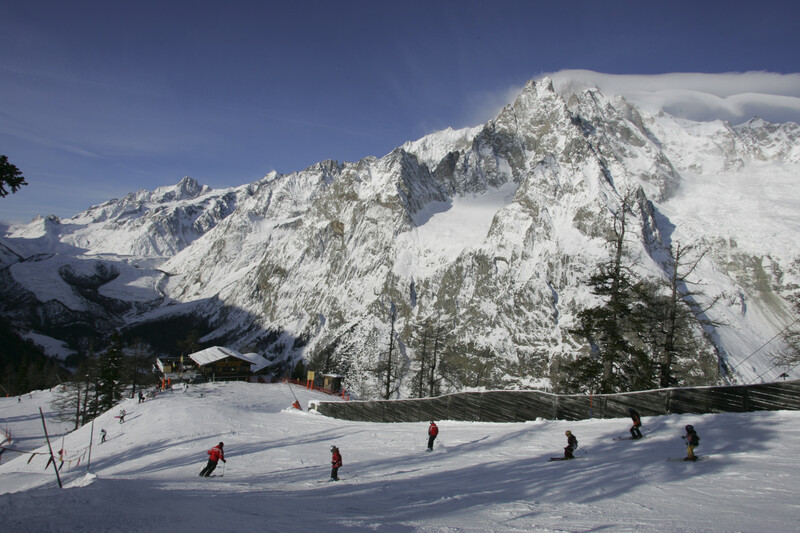 Children aged under 12 can ski for free in Courmayeur over Easter when their parents book a three-night holiday. Interski have released their prices for next winter with discounts on many dates for ski and stay deals in Aosta/Pila, Courmayeur, and La Thuile. Zermatt opens this Saturday with 400cm of fresh snow at the top - ideal opening conditions after heavy dumps in November. A great offer from Interski to cushion Brits from the high cost of the Euro - free money, and everything else included. Courmayeur's proximity to France, with Chamonix just on the other side of Mont Blanc, helped it receive the most new snow for an Italian resort in the recent spate of heavy falls across Europe.